Wild Card - Kit This is the card trick that will leave their jaws dropping... An effect that has baffled Magicians for years is easily learned with Wild Card. Watch the transformation of the 9 of spades into Wild Queens right before your eyes! Master the Ultimate Card trick quickly with the visual guide and online teaching. Seven performance variations allow you endless opportunities to fool all spectators again and again! Wild Card performed & explained by Rob Stiff Magic Makers Wild Card Kit Includes: Magic Cards Visual Guide Online Teaching Instructional DVD with 7 Bonus Performance Versions Presented by Master Magician Gerry Griffin: The Classic: The Classic Wild Queens illusion. Don’t be fooled, it may have been around the block a few times, but there’s a reason it has. Maybe we should say, be fooled… since you will be. The Classic Sequel: Every good show demands an encore. This sequel to the Classic Wild card allows you to show off your trick multiple times in an evening, and will make your performances even more convincing to your audience. 7 Card Stud: No one likes a losing hand. Good thing the Wild Card is always on your side. Gypsy Curse: Do you wonder where the power of the Wild Queen comes from? The story of the Gypsy Curse just may answer all of your questions and make you think twice before you try to hustle a friend. Flip Flash: Don’t blink or you may miss the quick transformation of these four cards! A flip here, a flash there and your eyes won’t believe what they see! Quick Switch: Who wants a hand of nines when in a few quick moments you can have a hand of queens? Just a quick switch and you’ll have a hand any poker player would die for. Acrobats: The type of acrobatic feat we all can manage. A hand of nines can be a flexible bunch. A quick little bend and they change more than their position... Techniques: Any Wild Card variation cannot be successful without the proper technique application; but don’t worry, we’ve got you covered. The following techniques are taught so you can perform every version of the Wild Card transformation successfully: The Classic, Hamman Count, Flustration, Elmsley Count, and Tunnel Flourish. 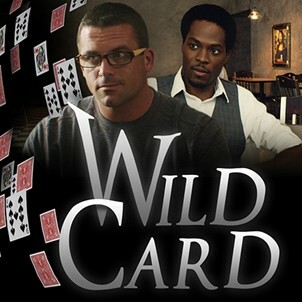 Some of the best card magicians in the world have tried to take the basic Wild Card plot and make it better. All of them have failed. Until now! Gerry Griffin will not only teach you the basic routine, he will show you a multitude of variations that will fit any performers style. Dare to Learn the Mystery!